The Jamaican Olympian remains hospitalized, but his family has a positive update on his condition to share. What should have been another day at the track turned into a tragic turn of events for Kemoy Campbell. While pacing the men’s 3,000-meter run at the Millrose Games on Saturday, the Jamaican Olympian collapsed on the inside of the track and was transported to New York-Presbyterian/Columbia University Irving Medical Center that evening. As of Monday morning, Campbell is still being treated at the hospital. The official cause of his collapse hasn’t been released. 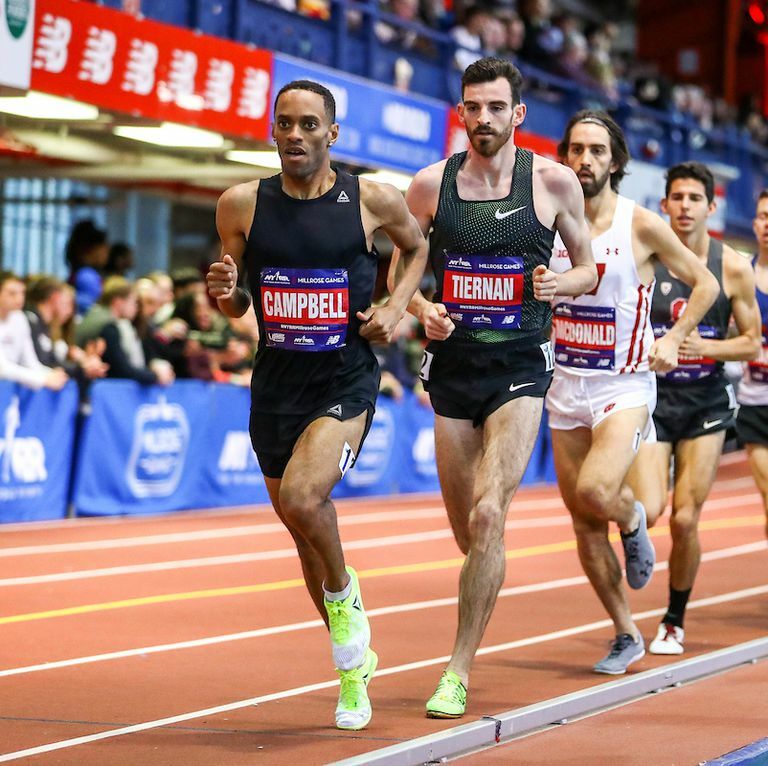 The 28-year-old, who trains with the Reebok Boston Track Club, led the field past the 1K mark, when he began to slow down and grimace in pain. Then, Campbell suddenly collapsed on the inside of the railing. Immediately, event organizers rushed to his side and brought medical personnel onto the track. 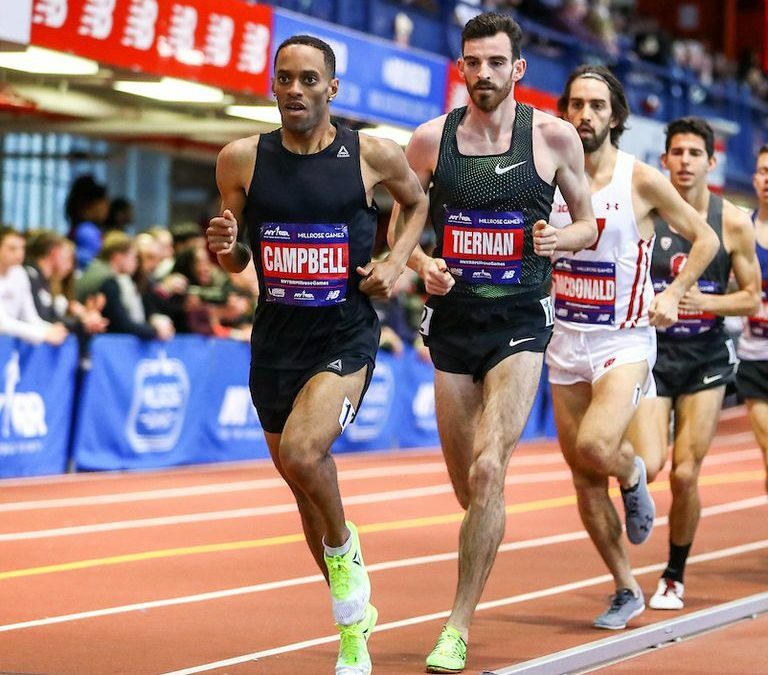 Announcers on the NBC Sports broadcast reported that Campbell was unconscious for a period of time, and emergency responders had to use a defibrillator to revive the runner. Local police and the fire department arrived on the scene, as Campbell remained on the track. The meet stopped completely. Campbell collapsed next to the ring where the shot putters were competing. When the throwers saw that Campbell was on the ground, the athletes immediately moved equipment to make room for medical personnel. While Campbell was being treated, world champion Joe Kovacs, Olympic champion Ryan Crouser, Jamaican standout Ashinia Miller, Josh Awotunde, and Curtis Jensen all took a knee together. Over 20 minutes later, Campbell was put on a stretcher and taken from the track to New York-Presbyterian/Columbia University Irving Medical Center, where he is currently sedated and undergoing tests. On Sunday, Sports Illustrated reported from New York that Campbell was put in a medically induced coma for 48 hours and was on assisted breathing. Over email, Flynn told Runner’s World, “I continue to be encouraged,” by Campbell’s progress. But on Tuesday morning, Campbell’s family shared a positive update on the runner’s condition: He’s currently stable in the intensive care unit, and is now awake and talking. However, he will continue to be monitored by doctors in the hospital. The Campbell family is accepting donations on GoFundMe to help support his medical costs. Editor’s note: This article has been updated to include further information about Campbell’s health, which was released by his family on February 12.